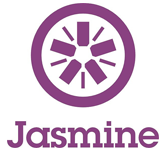 This chapter on Jasmine.js explaines the basic functionalities of Jasmine.js along with valid examples for better and easy understanding. This Chapter on Jasmine.js has been prepared for all ameateurs to aid them in understanding the basic concepts of Jasmine testing process. To learn Jasmine.js , One doesn't need any prior knowledge on any particular technology.This is a very simple and basic tutorial andcan be understood by every reader with a basic computer programming knowledge.